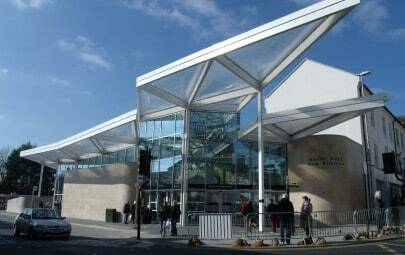 Ayr Central Shopping Centre, located in the heart of Ayr, Scotland, is undergoing a major transformation this summer with the addition of an iconic, bright, ETFE roof. 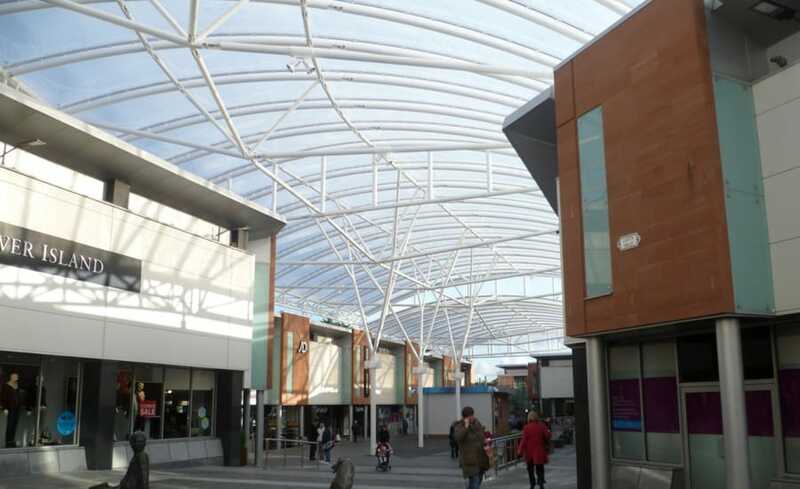 The new roof allows everyone to shop rain or shine, while enjoying fresh air and natural sunlight. Designed by Leslie Jones Architecture, the roof is being constructed of ETFE foils. 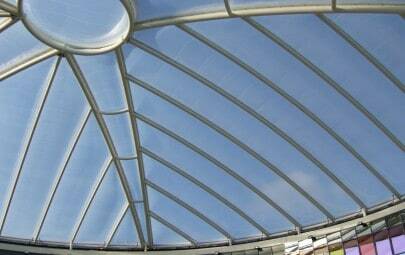 ETFE stands for Ethylene Tetra Fluoro Ethylene its a fluorine based incredibly strong plastic. 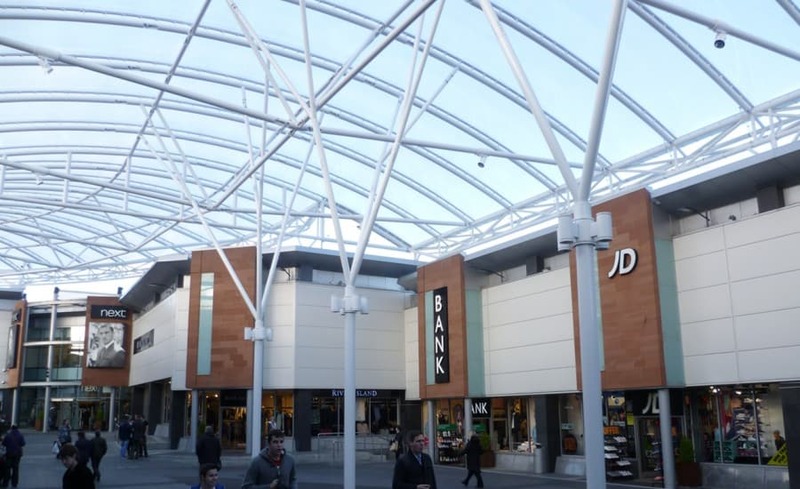 As one of the most desirable building features being used by architects today, ETFE can span large spaces at a fraction of the cost of glass. 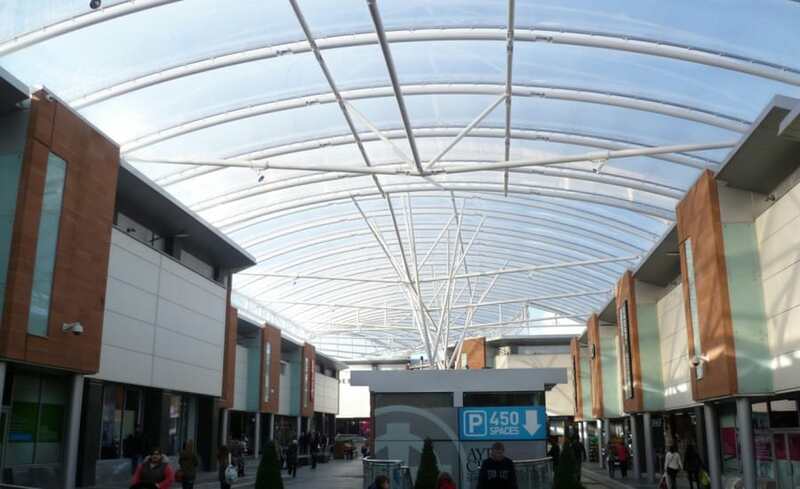 Oversailing the shops, the ETFE canopy roof is comprised of two layers (an upper and a lower) forming a cushion. Cushions are filled with air, controlled and monitored by an air handling unit. This unit only needs to maintain pressure and not generate airflow which means minimal energy consumption. In total, the roof comprises 34 horizontal air-filled cushions and 31 vertical air-filled cushions – offering 2,000m2 of coverage. ETFE is 1% the weight of glass, yet its being engineered for heavy snow loads, wind and rain its a very durable building material, requiring minimal steel support. ETFE was chosen because it is has a remarkable 80% light transmission, its 100% recyclable, cost effective, and requires minimal maintenance. Architen is proud to be realising Leslie Jones Architectures design, by patterning, manufacturing and installing the roof in June.